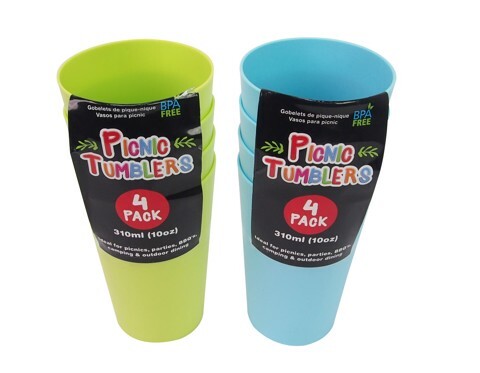 Picnic Tumblers 310Ml 4Pk. 7.2 (dia) x 11.2cm (H). 2 Assorted Colours: Green | Blue. PP Plastic. 33G Packaging: Colour Wrap Sleeve.